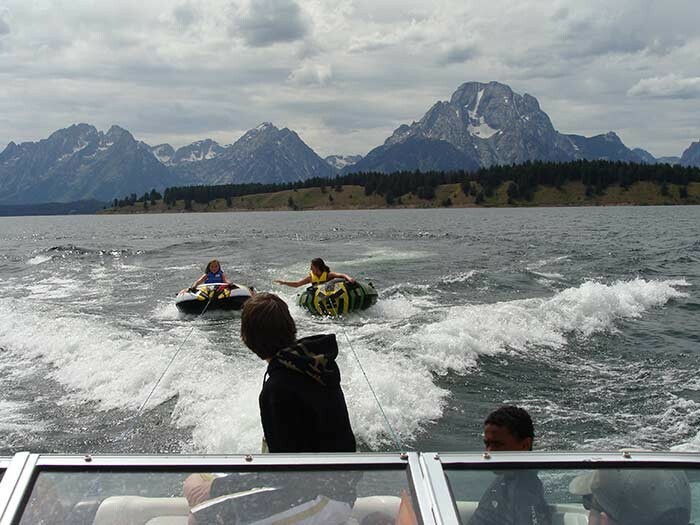 The waters surrounding our ranch are home to world class Jackson Hole white water rafting, float trips and more. 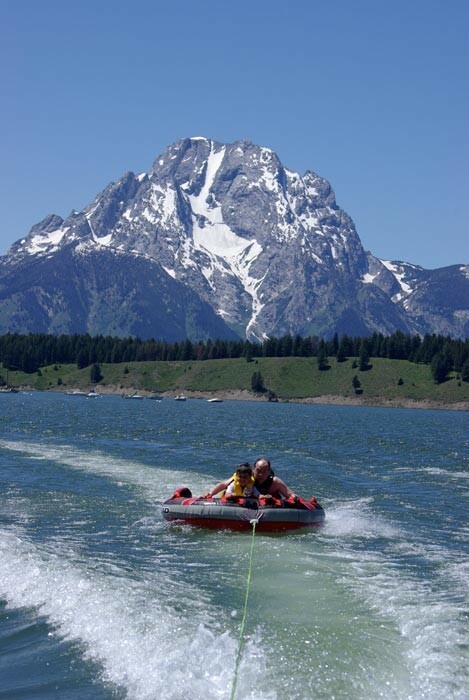 Scenic float trips on the Snake River area are available through professional outfitters. 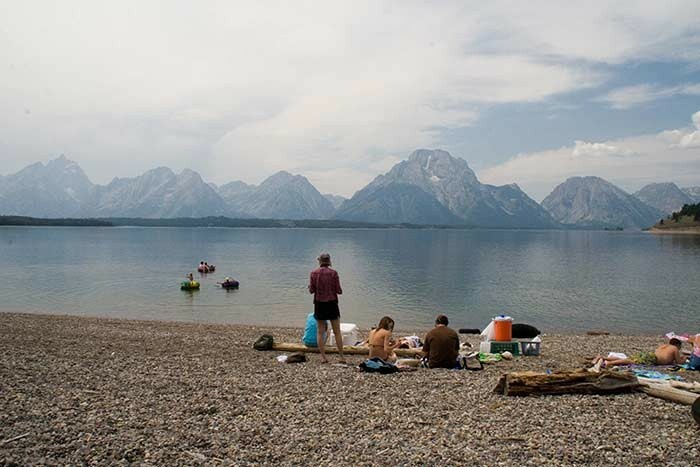 Half or full-day trips on quiet waters beneath the towering Tetons are enjoyed by many. 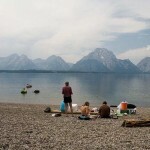 The more adventuresome may sign up for an exciting trip on whitewater stretches in the Snake River Canyon. 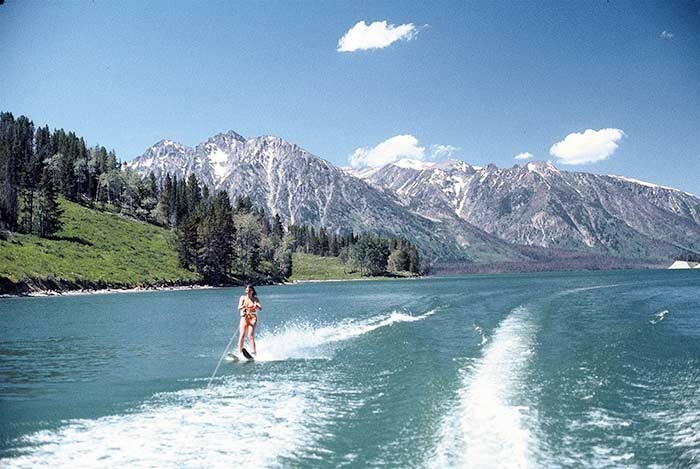 Mid week, kids and adults are taken to beautiful Jackson Lake to partake in a variety of water sports such as water skiing and tubing. 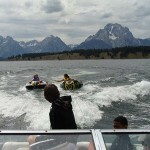 Scenic boat rides are also always a hit. 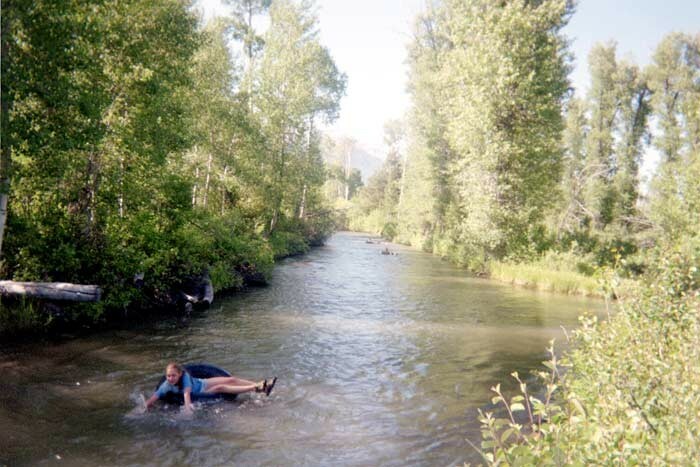 The Ranch swimming hole and meandering creek afford swimming and inner tubing opportunities for those hot afternoons. 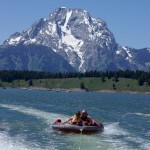 Enjoy Jackson Hole white water rafting and less adventurous water sports when you stay with us.